The oldest, and arguably the most iconic, nature reserve in Botswana! 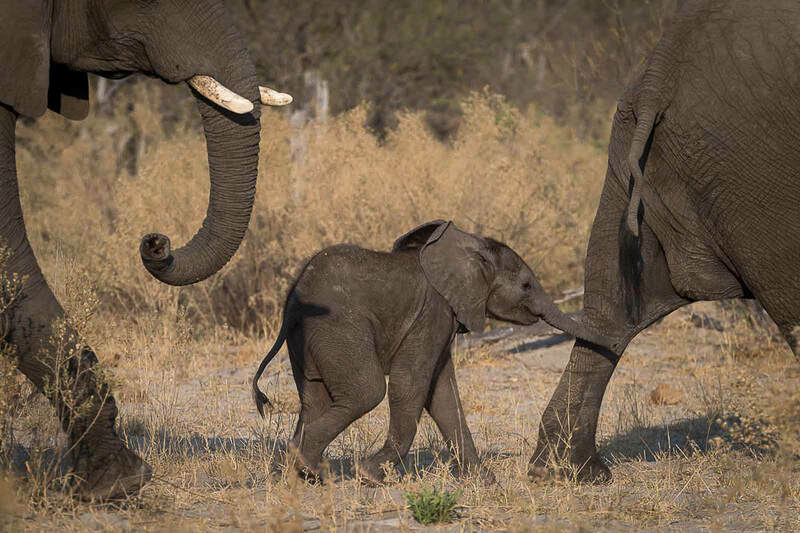 Chobe is home to an incredible number of elephants and is famous for its population of elephant-hunting lion. A boat cruise on the Chobe River is a must! Situated in the middle of the dry savanna of north-eastern Botswana these are the largest salt flats in the world and all that remains of the formerly enormous Lake Makgadikgadi. Following rain the pan becomes an important habitat for migrating animals including wildebeest, one of Africa’s biggest zebra populations and large predators that prey on them. This charming reserve, situated on the border of South Africa, boasts all of the Big 5, endless views, mighty baobab trees, and the underground shelters of early Bushmen. An eclectic mix of old and new, Maun is the 'tourism capital' of the country, and a gateway to the Okavango Delta. Book a flight in Maun over the Delta and enjoy the amazing aerial views! Bordering each other (and in many ways extensions of one another), this wonderful area offers a brilliant combination of safari and culture. Experience game drives, a Mokoro ride on the Okavango Delta, cultural tours, and incredible night drives! One of the seven wonders of Africa! Visit this most impressive wilderness sanctuary on foot, from the air, on game drive or in a traditional Mokoro (canoe). Authentic safari gems of the Chobe region with exceptional game viewing opportunities. With great bird watching and predator sightings, this is an ideal for spot for photographers. Also visit Gubatse Hills and see the rock paintings of early man's wildlife sightings. A vibrant city with stunning landscapes, an abundance of wildlife, cultural heritage and the mind-blowingly beautiful, Victoria Falls! Activities galore, from safari to adrenaline-filled white water rafting, here there is something for everyone!